To manage the subscription for your account, navigate to the Organisation settings through the menu on the left hand side of the screen. 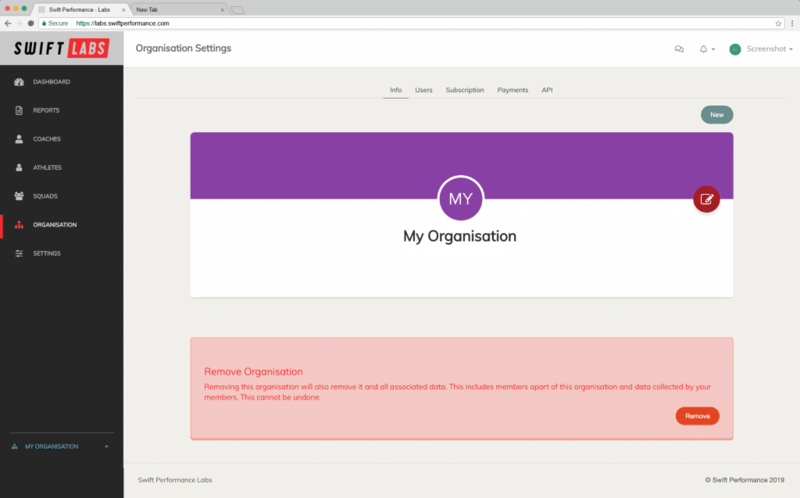 The Organisation settings allows you to manage organisation information, organisation users and invitations, subscription management, payments, and platform API management. You can switch between the different options through the tab navigation towards the top of the screen. 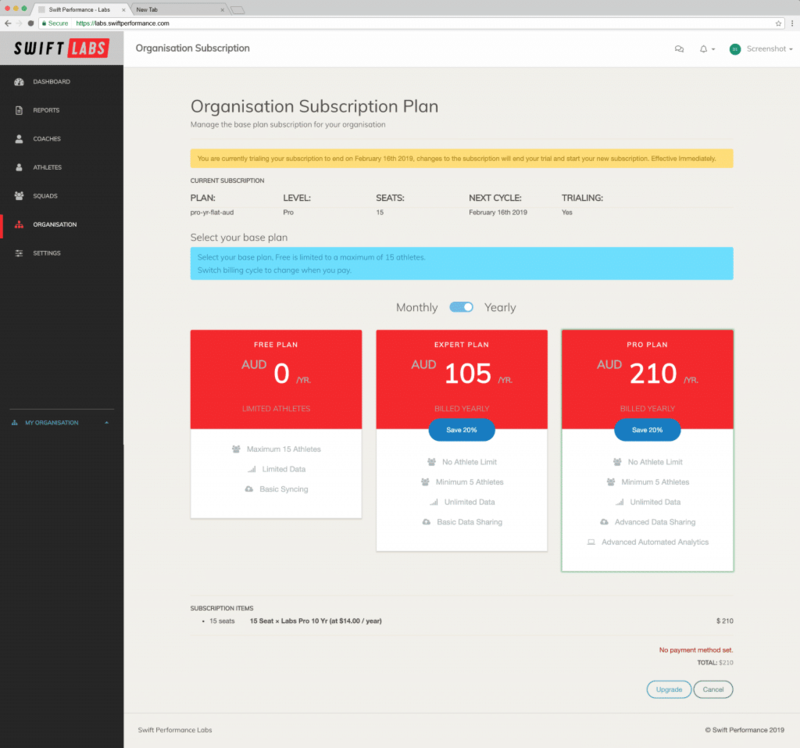 Navigating to the Subscription tab will display all relevant subscription information including the subscription seat count, subscription plan, billing information and any subscription pending changes. To change your subscription plan click on the “Change Plan” link under the subscription plan information. The subscription tab will also contain any relevant subscription notifications. 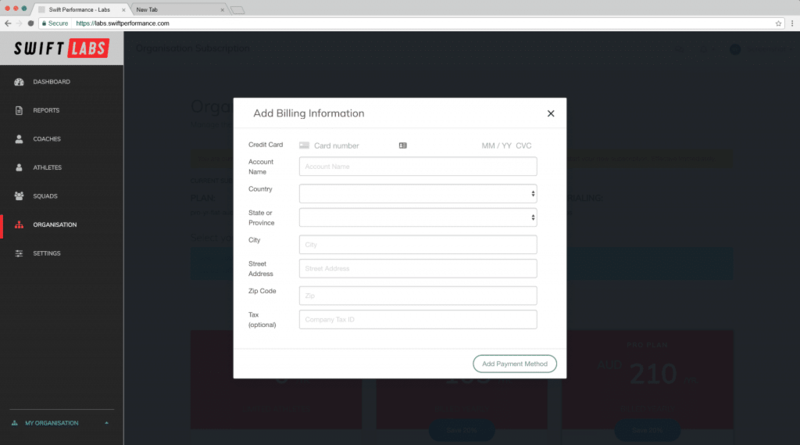 Similarly to the account register process, the subscription management view provides the various available subscription plans, including the ability to change the billing cycle. Selecting the desired subscription plan will generate a preview with the total cost of the subscription. 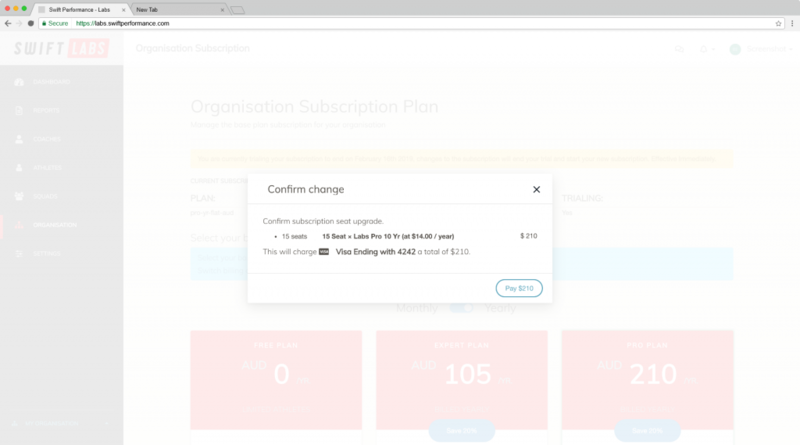 If the selected subscription plan is of greater cost than the current subscription plan, the subscription change is considered an upgrade. If the subscription is in a trial mode, you have the ability to change to any subscription plan regardless if the subscription plan is considered a downgrade. If no billing source is attached to your organisation you will be prompted to attach billing information to your account. All billing information is stored securely with a third party provider with no credit card information stored on our servers. Prior to charging your account, you will be prompted to confirm any charges on your payment source. Closing the confirm charge window will stop any charges, while clicking “Pay” will charge your payment source the displayed amount. 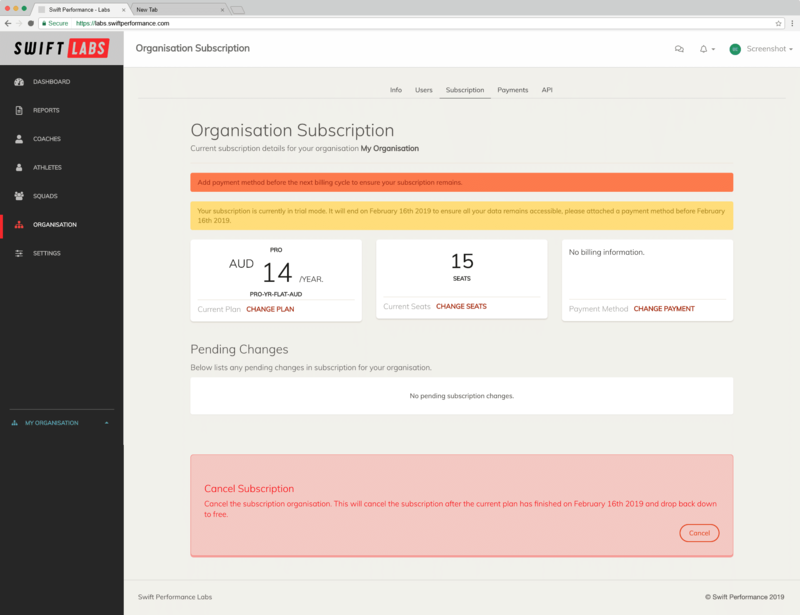 On a successful charge, you will be redirected back to your organisation subscription management tab with the newly updated subscription information. Copyright © 2018 Swift Performance. All rights reserved.